Bamboo football cutting board. 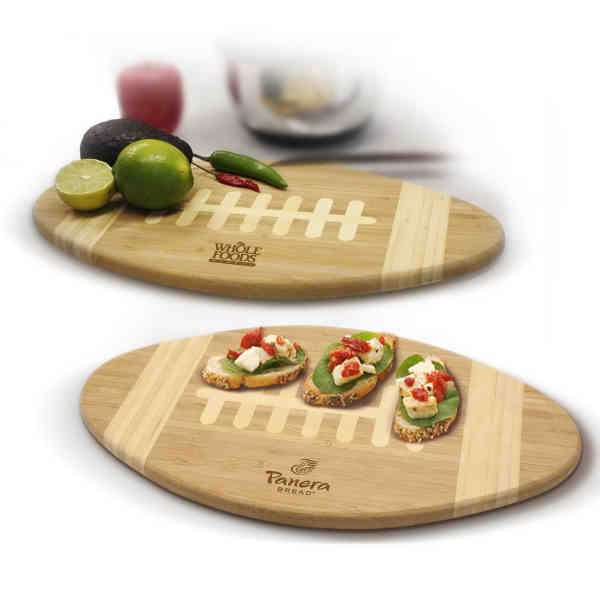 Two-tone football shape cutting board made from eco-friendly bamboo. Board also doubles as a serving tray. Size: 15" h x 8 5/8" w x 5/8" d.
Size: 15 " x 8 5/8 " x 5/8 "